We are fortunate to be surrounded by so much natural beauty within California’s south central coast. The coastal bluffs, fertile agricultural lands, and unsurpassed creeks and rivers are what draw so many people to live, work, and play in this region. But this is also why our communities need EDC to represent the public interests and stand up against the immense development pressures that threaten our communities and healthy environment. The Gaviota Coast is one of California’s largest remaining continuous stretches of undeveloped rural coastlines. 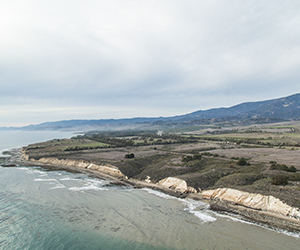 It is world renowned as a biodiversity hotspot and one of the most ecologically diverse regions on the planet, With increasing development pressure, EDC continues to work to ensure permanent preservation of the rural Gaviota Coast. Rancho La Laguna is 4,000 acres of incredibly rich and scenic farmland located in the Santa Ynez Valley, with rolling hills, deep canyons, oak forests and home to fifty-six rare animal and plant species. The Ranch is proposed to be split into smaller lots for development, but EDC and our clients are working to preserve the agricultural integrity of the property. 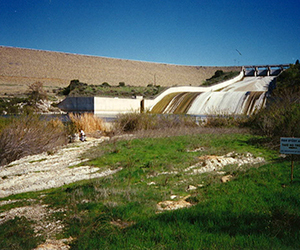 In our continued effort to protect the endangered Southern California Steelhead Trout, EDC and our client Los Padres ForestWatch have filed a lawsuit to compel the Santa Maria Valley Water Conservation District to modify its operations of Twitchell Dam to ensure sufficient water is available for steelhead trout to migrate to their breeding grounds. 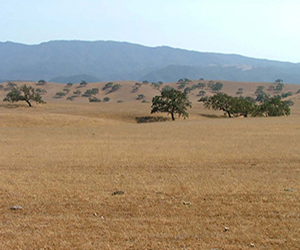 EDC represents the Santa Ynez Valley Alliance in its goal of preserving the majority of the 1,400 acres of precious open space zoned for agriculture known as Camp 4, while allowing development of some tribal housing for the Santa Ynez Band of Chumash Indians that is consistent with protection of environmental and agricultural resources. 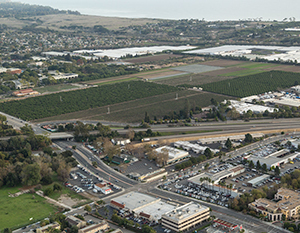 In 2014, EDC and our clients celebrated a victory when the Camarillo City Council, facing overwhelming public pressure, unanimously rejected a proposal to pave over 620 acres of prime farmland and a critical wildlife corridor in order to develop 2,500 tract houses and 1.5 million square feet of industrial buildings. So much of our local agricultural land has been lost already to development pressures. 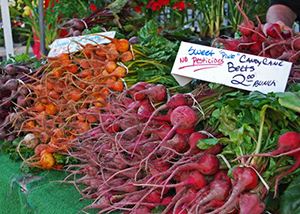 EDC is working to prevent rezoning of three important, productive urban farms in Goleta that provide immense environmental and human health benefit, as well as fresh produce that is found in our local stores and at farmers’ markets. 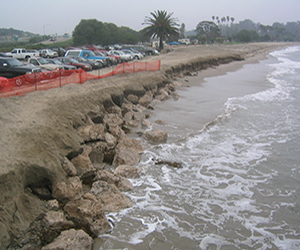 Rock seawalls such as the one installed on an emergency basis at Goleta Beach more than a decade ago shift erosion to beaches further down the coast and limit safe public access. Although the California Coastal Commission instructed Santa Barbara County to remove these unpermitted boulders, the County has refused to do so. 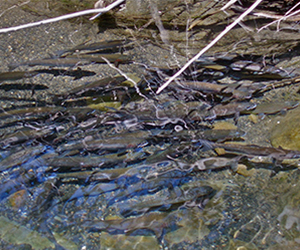 Southern California steelhead are among the most endangered fish in the United States and yet, between mid-2013 and late 2014, water pumps at the Bradbury Dam were allowed to fail 13 separate times killing nearly 400 fish. EDC is working to protect and restore steelhead in this important tributary to the Santa Ynez River. 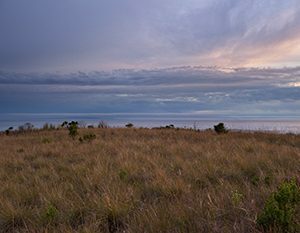 For more than 30 years EDC has protected this 300-acre beloved open space and coastal bluff area from development proposals. More Mesa was sold once again in 2012 and EDC will remain vigilant to ensure permanent protection of this community treasure for us all to continue to hike, bike, birdwatch and access the beach. 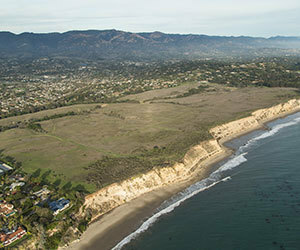 The Environmental Defense Center has been working for more than 19 years to permanently protect Naples, the crown jewel of the Gaviota Coast. This is not just one of Southern California’s largest remaining continuous stretches of undeveloped rural coastline but also, without exaggeration, one of the most important ecological regions on the planet. The region hosts 1,400 plant and animal species, and the coastal area including Naples Reef is internationally known as a “biodiversity hotspot.” The Gaviota Coast boasts some of the oldest and best-preserved archaeological sites in California and attracts more than one million visitors each year to enjoy the beauty of its celebrated beaches, canyons, and trails. 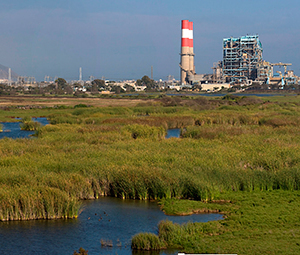 In 2012, EDC successfully stopped the development of more than 1,500 new residential units, which would have polluted and degraded the precious Ormond Beach wetlands in Oxnard. This area, which is home to hundreds of migratory birds and a popular recreation area for the community, is now being restored to one of the largest coastal wetlands in Southern California. 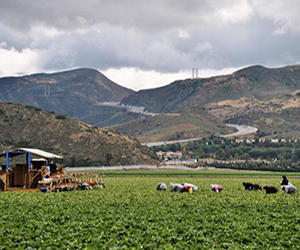 EDC has convened a diverse group from the agricultural and conservation communities to find “win-win” solutions to preserving precious agriculture land and open space and avoid sprawl throughout Santa Barbara County. Since the Bradbury Dam was constructed in the 1950s, endangered steelhead trout have not been able to migrate to their spawning grounds upstream, causing populations to plummet by 99%. EDC is working to ensure there is water for people, for fish, and for recharging groundwater supplies.